The Sweatlodge or Sweat Lodge is a very old cleansing rite. Lodges and artifacts of lodges have been found all over the Earth. Each culture and tradition holds its own version of this ceremony. Although there are many different types of lodge ceremonies they all have something in common, purification and prayer. The practice of lodge was once common among the people and was used in many ways. 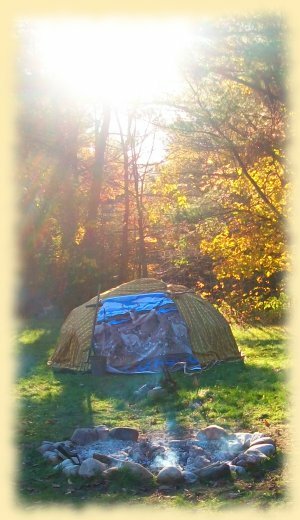 Sweat Lodge holds deep tradition within the health and well-being of all involved for healing, purification, ceremonies or rites of passage. 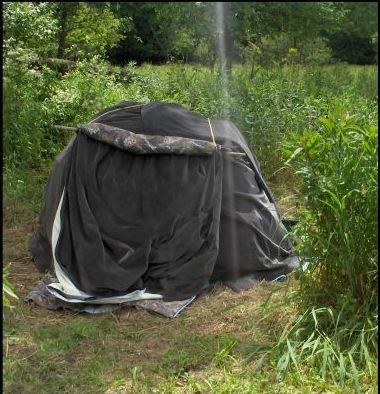 Sweat Lodge is a ceremony and all elements of this are treated with respect. Lodge at HBH is held in a sacred and honorable manner. The Sweatlodge is built from saplings that are sacredly gathered. It represents the womb of Mother Earth. As one makes their way through the rounds in the darkness and heat, purification happens on all levels of your being. Through prayer, ceremony, sharing, singing and sweating one is reborn as they leave the sacred space of the Lodge. We offer a community Sweat at Heron Brook Haven and all are welcome. These are listed on our calendar page. If you have any questions or concerns about Sweatlodge, please contact us. Personal healing and counseling lodges are available in our smaller Willow Lodge. These are offered for those who have something they wish to heal or pray about and don't wish to do so in the context of a community Lodge. We offer special lodges for groups, couples, individuals and families upon request. Contact us if you feel called to a personal Lodge to assist you or if you have a group that would like to share this experience together. Lodge Quest is an event we first offered in 2014. It was such an amazing experience for all who attended that it has turned into a yearly event! Join us as we celebrate and share 4 days of Ceremony and Sacred Space! During Lodge Quest there is a Sweatlodge each day beginning with the first one Friday evening and the last one Monday morning. In between the Lodges there is time for quiet, rest & renewal as well as ceremonies and feasts. As the energies build and blend together an amazing, beautiful and sacred experience is created for all! The dates for the 2018 Lodge Quest are Sept. 21-24. If you and your group/class would like to learn more about Sweatlodge and what it offers, we enjoy sharing the benefits and teachings of Lodge. Contact us and we can come to you or you can come to us.